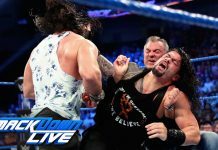 WWE Smackdown is live tonight from Portland, Oregon. 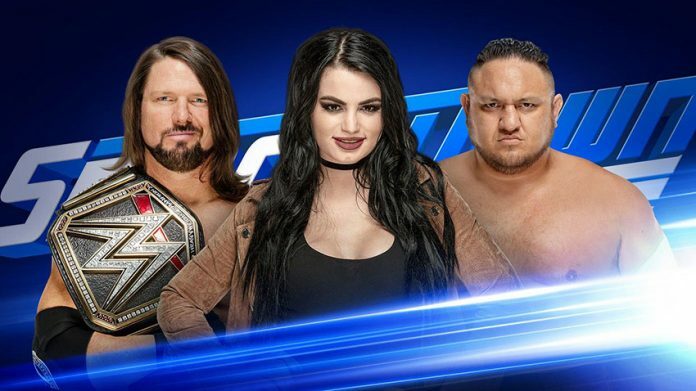 Scheduled for tonight’s show is GM Paige opening the show where she will address Samoa Joe’s home invasion of AJ Styles on the show last week. Also advertised is Daniel Bryan vs. Shelton Benjamin, R-Truth and Carmella vs. Andrade “Cien” Almas and Zelina Vega and Smackdown Women’s Champion Becky Lynch says she has a special surprise regarding Super Show-Down in Australia this weekend. 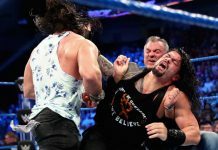 Wrestleview.com will have live Smackdown coverage at 8:00 p.m. Eastern (7:00 CT).